This home is furnished with incredible taste and attention to detail with major updates and a fabulous new kitchen. 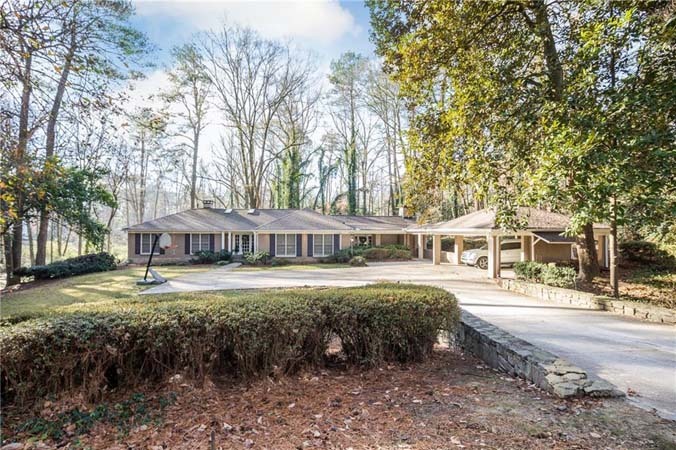 The community is steps to Peachtree Road and Peachtree Battle Avenue, but tucked away on a private, four-acre park that offers total serenity. This is a fabulous home on fantastic lot with a swimming pool and a separate guest house. It offers lots of privacy as this is one of just four homes on a quiet cul-de-sac street. It is inviting with tall ceilings and big windows with lots of living space inside and out. 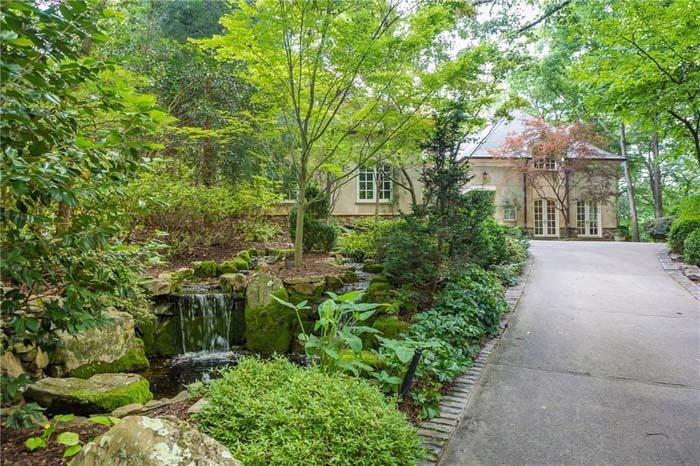 This one-of-a-kind, Buckhead oasis is a private and tranquil estate home on nearly two-and-a-half acres. It features a stunning garden and bird and butterfly sanctuary at the entrance with a waterfall, stone fountain and paved walkways. The home features a two-story great room and dining room with a fireplace open to the gorgeous saltwater pool with spa, stone gazebo and patio, all surrounded by mature landscaping. This gracious, two-story traditional brick house on a cul de sac has a large common area green space, large, light-filled kitchen with an island and eat in breakfast area and banquet-size dining room. It features an office/study, fireside family room, sunroom and a stunning, two-story foyer with marble floor. The spacious master suite has his/her closets and vanities in the master bath, which also has a soaking tub. 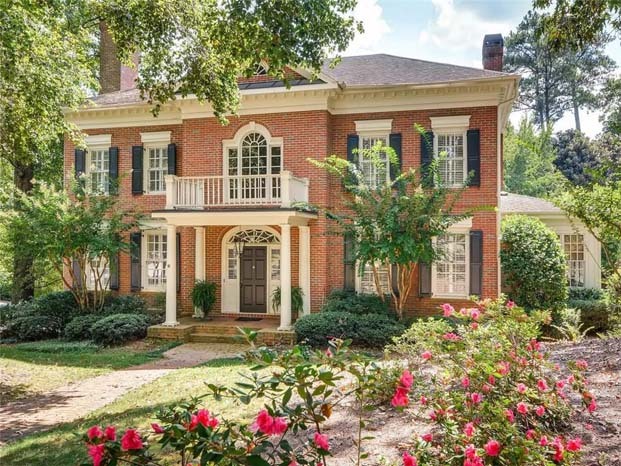 This Ansley Park classic is one of the five original homes on quiet Walker Terrace. It has an enclosed sunroom at the front, which opens to large formal living room and spacious dining room, both with working fireplaces. 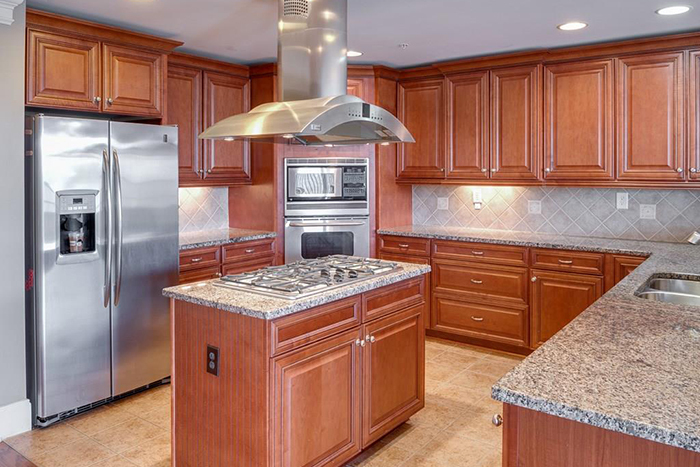 The sun-drenched kitchen has a butler’s pantry, an island with seating and Viking appliances. This stunning Yong Pak-designed, custom built home is on a large, level lot. It has an open kitchen and family room with french doors leading to covered, brick porch with a fireplace. There is a study with a full bath on main, which can easily double as an additional bedroom. 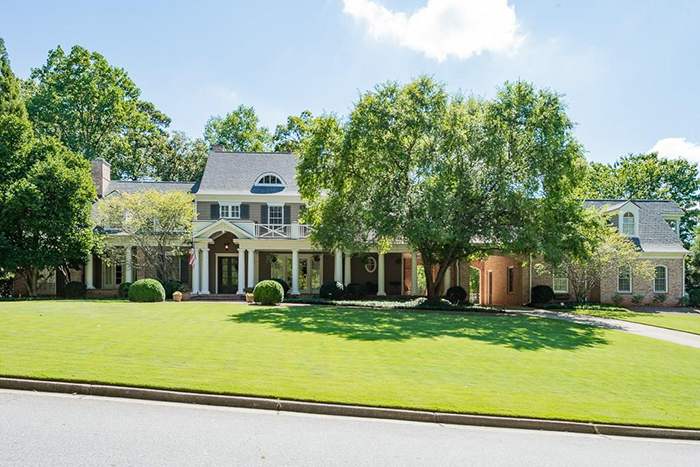 This fantastic home is privately sited on prestigious West Wesley Road in Buckhead. It has gracious living areas including a lovely formal living room or office/library, dining room, spacious keeping room with built-ins and a kitchen with breakfast area. The large master suite has a fireside sitting area, oversized bath with shower, tub and huge double closets. This home is on more than an acre in the Paces neighborhood in the Warren T. Jackson Elementary School district. 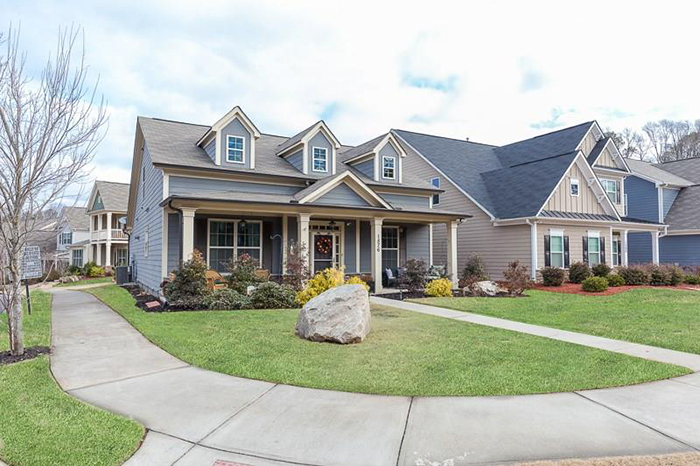 It has an open floor plan and is perfect for entertaining with a gracious foyer, a renovated kitchen with stainless steele appliances and a sunroom with a vaulted ceiling overlooking a flat, walkout backyard. It has fresh paint and hardwood floors. 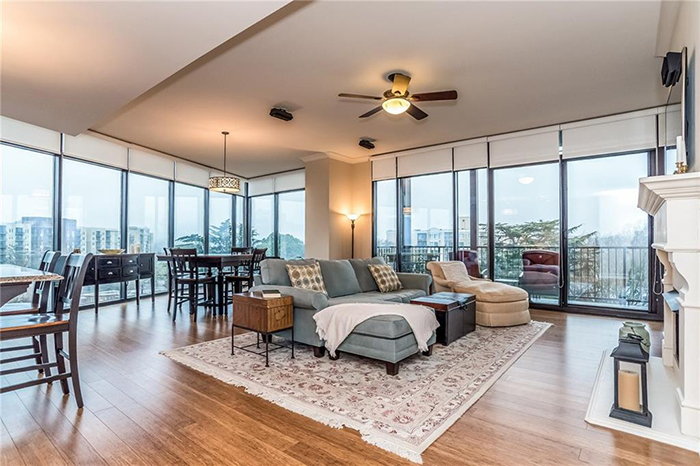 This is the only two-bedroom unit available in One Vinings Mountain with dynamic downtown panoramas from the highest point inside the perimeter. The home has 10-foot ceilings, open space and a gourmet-style kitchen. It has pocket doors that open to a second bedroom and there is an 18-foot balcony off the living room and master bedroom. 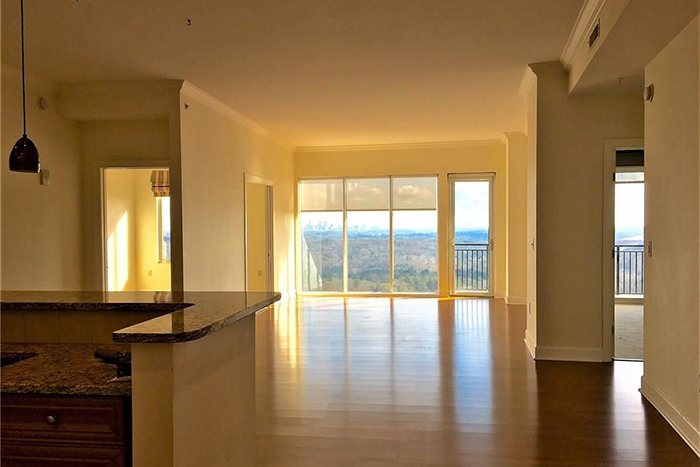 This corner unit with floor to ceiling windows overlooks Peachtree Road with Midtown, city and Buckhead views. It has an open floor plan, hardwoods throughout and a fireplace. 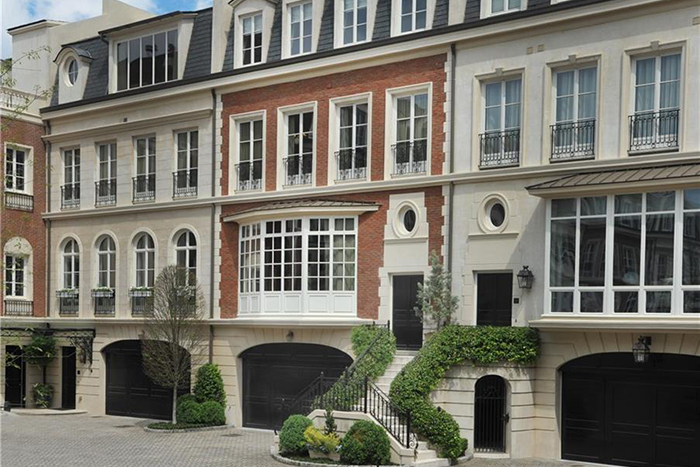 It also has two large balconies, Phantom screen doors, custom closets and Thermador professions appliances. 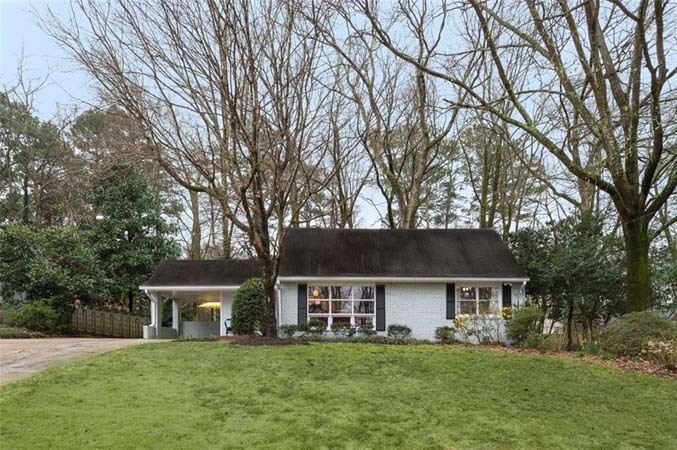 This is an estate lot on nearly an acre just four houses from the the PATH400 Greenway Trail, which connects to the BeltLine, shops and restaurants. 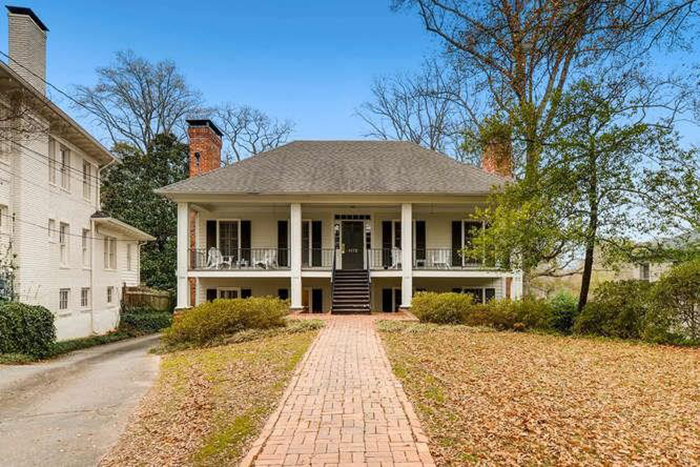 The front house is a charming four bedroom/three bath fixer upper with a private carriage house. The lot is surrounded by much more expensive homes. This three-bedroom, three-full-bath former model home has all the upgrades including granite in kitchen and baths. It has a new upgraded HVAC. The porch overlooks Vickery Creek and a national forest. Amenities include a pool, tennis courts, gym and locker rooms. This two-bedroom, two-bath unit is completely move-in ready with upgrades including fresh carpet and paint, hardwoods in main living area and a custom closet system in master bedroom. There are brand new granite counters in kitchen and a luxurious master bathroom with a frameless glass shower door and separate soaking tub. It is minutes from Ponce City Market, the BeltLine, Old Fourth War Park and Freedom Park. 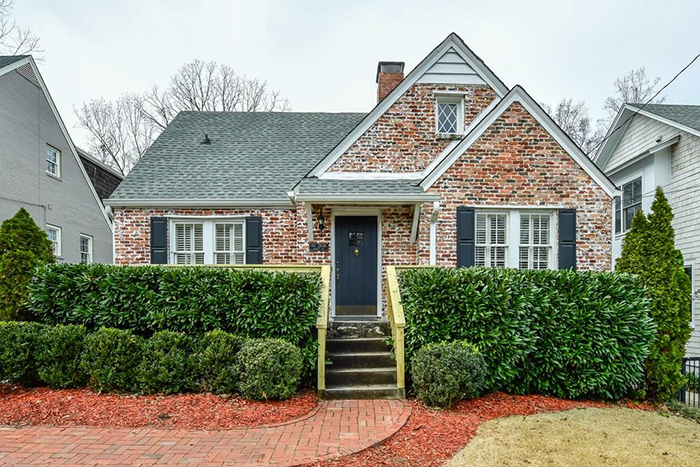 This picture-perfect brick bungalow with classic appeal is on one of the best streets in Peachtree Heights East/The Duck Pond. The formal living room leads to the dining room and kitchen for the perfect entertaining flow. A huge double-height screened-in porch off the back adds a ton of extra living space. This adorable three-bedroom/three bathroom bungalow in highly desired West Highlands has hardwood floors throughout the main level. 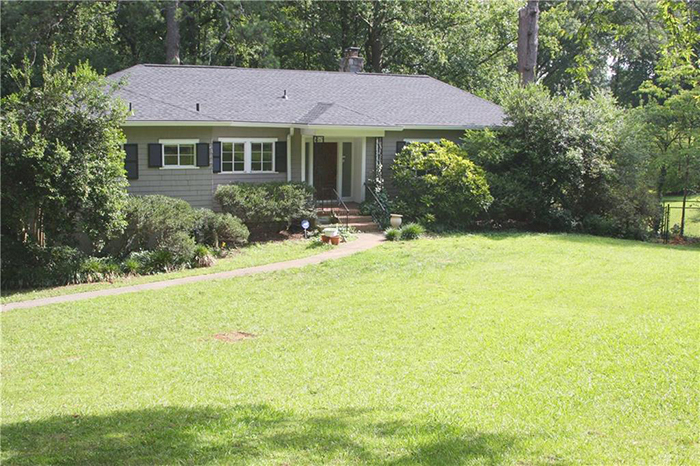 The master is on main along with handicap accessible guest bedroom/bathroom. The great room has vaulted ceilings. 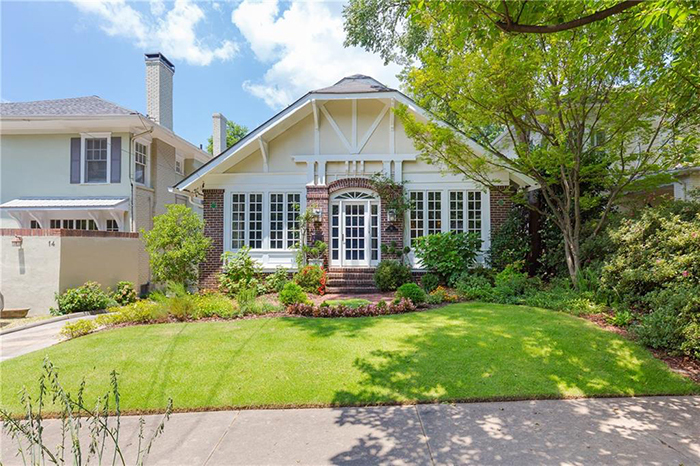 This is one of only four condominiums in the low country-style building on a quiet street a half a block from Piedmont Hospital and restaurants on Peachtree Road. It has spacious rooms with hardwood floors, a fireplace with gas starter in the living room and a gourmet kitchen with a wine cooler, granite countertops and a sunny breakfast area. The master bedroom has large walk in closet and two walls of windows. 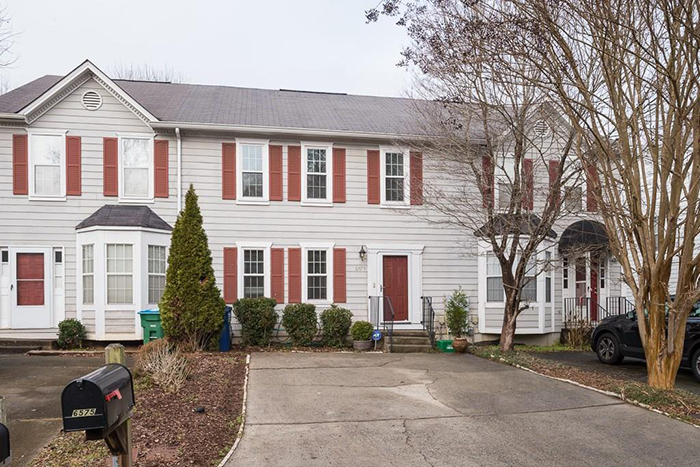 This wonderful three-bedroom townhome has a finished basement and private backyard in Peachtree Corners with upgrades throughout including new energy efficient windows, new counter tops, brand new oven/stove and fresh paint on the main level. It is one of the few units with a finished basement with extra storage. 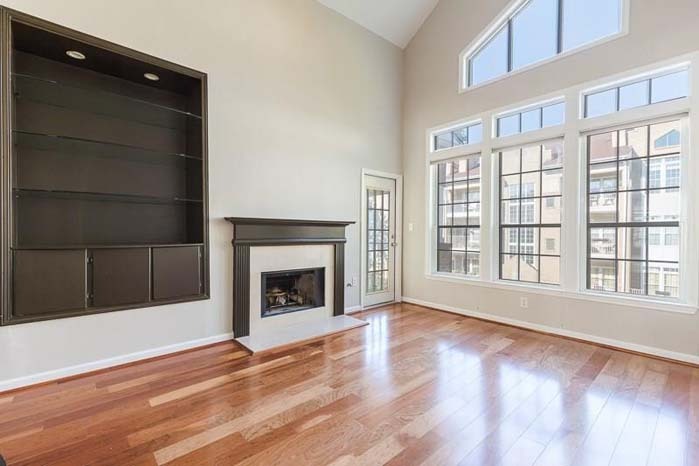 The large family room with fireplace overlooks a private deck and fenced backyard.